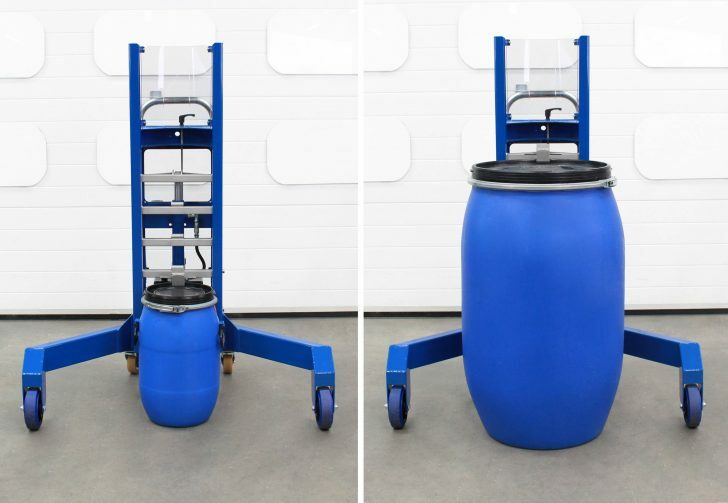 Our Corner Drum Lifting Trolley has a smaller footprint than the Side-Shift Drum Lifting Trolley and is lighter than our Counterbalance Drum Lifting Trolley, and with a width of 1180mm it can access most work areas. The universal drum catch lets you connect the unit to a wide variety of drums. As with all our equipment, we build this unit using the finest materials. We use this precision gripper on a variety of our products. Laser cut from stainless steel in our UK manufacturing facility, the adjustable drum catch can connect to drums of different types, sizes and materials. 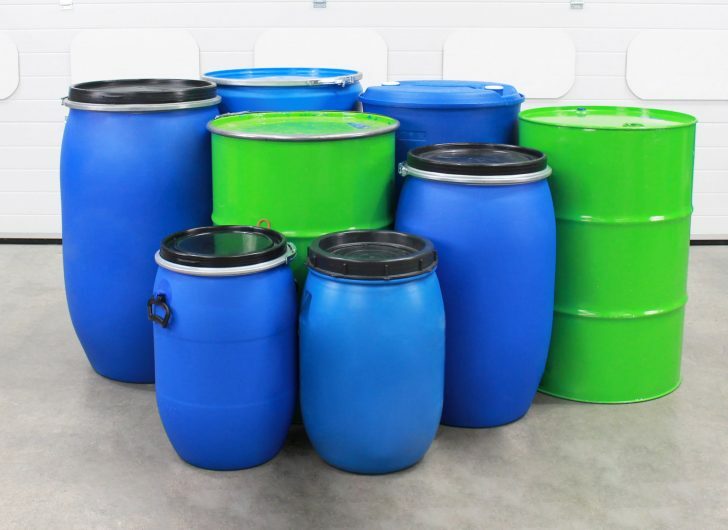 For a breakdown of the drums that are compatible with this product, view the drum suitability document below. Our stainless-steel ladder rack allows you to adjust the position of the drum catch to accommodate drums of different heights. Just move the catch lower for shorter drums and higher for taller drums. For a detailed breakdown of the drum heights that are compatible with this product, please see the specification below. The aluminium pump supplies oil to a ram, this system lifts drums when the handle is pumped. 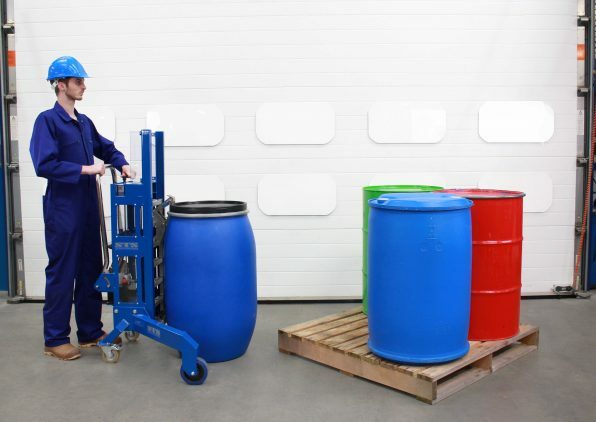 A hand-operated lever provides precise control when a drum needs to be lowered to the ground or onto a pallet. We assemble our hydraulics by hand in our UK factory to ensure that each system is both clean and reliable. We source high-quality elasticated rubber wheels to ensure this product performs in all conditions. We also use rubber-sealed (RS) precision bearings, which offer dependable wheel performance in harsh environments. To get the most out of this unit we recommend you use it on smooth surfaces. 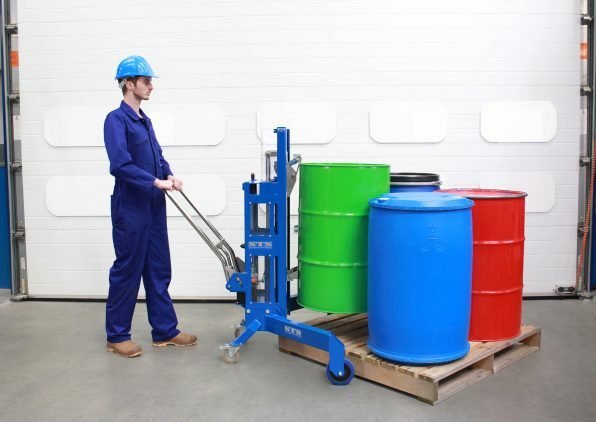 The DTP05 Corner Drum Lifting Trolley can handle a wide variety of drum types and sizes – especially useful if you handle different types of drum on a daily basis. For a detailed breakdown of the drums with which this product is compatible, please see the drum suitability document below. If the drums you use aren’t in the document, contact us and we can offer advice and guidance. 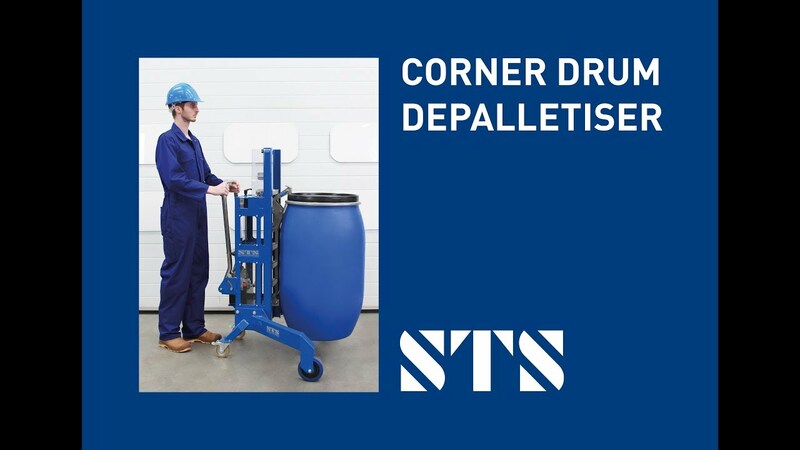 The DTP05-Ex Corner Drum Lifting Trolley is designed and manufactured for use in gas and dust classified spaces: Zone 1, 2, 21 and 22. 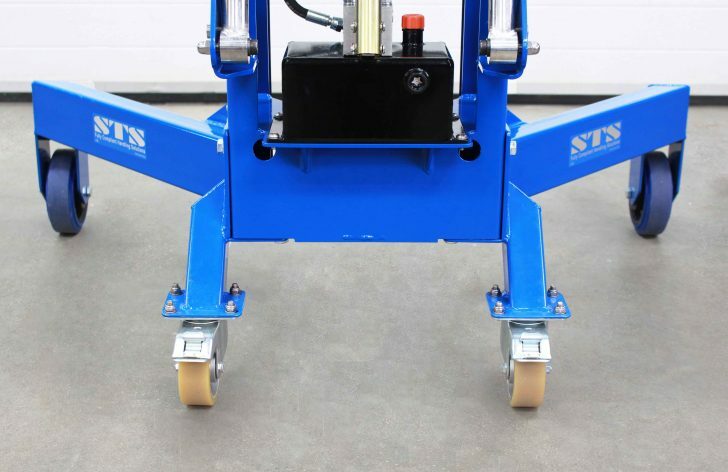 The drum lifter is constructed to ensure electrical continuity whereby a path to ground is always present. 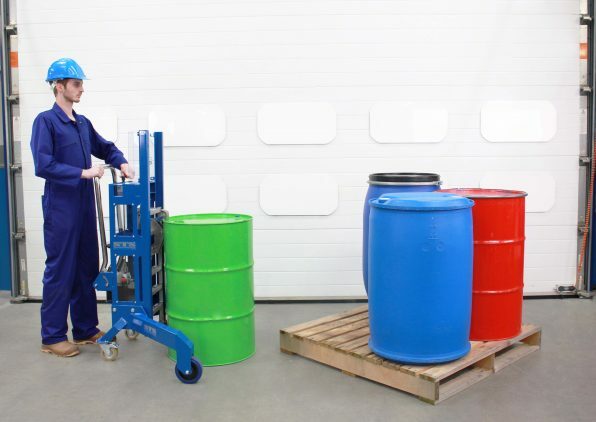 An EU Declaration of Conformity is supplied stating compliance with the ATEX Directive 2014/34/EU. 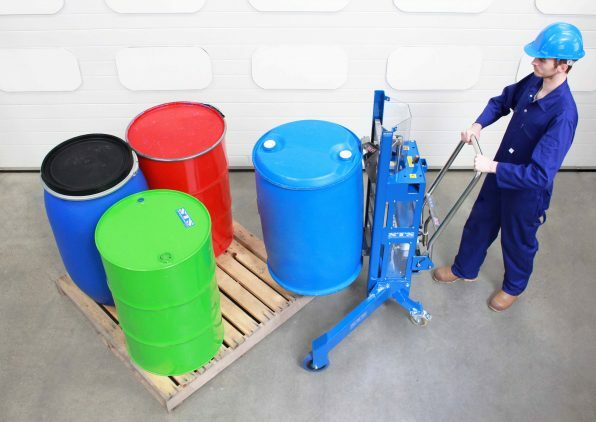 Suitable for an ATEX Zone 1 environment and certified to ATEX Directive 2014/34/EU: for equipment intended for use in potentially explosive atmospheres. We offer a variety of stainless finishes suitable for clean rooms as well as good manufacturing practice (GMP) areas. 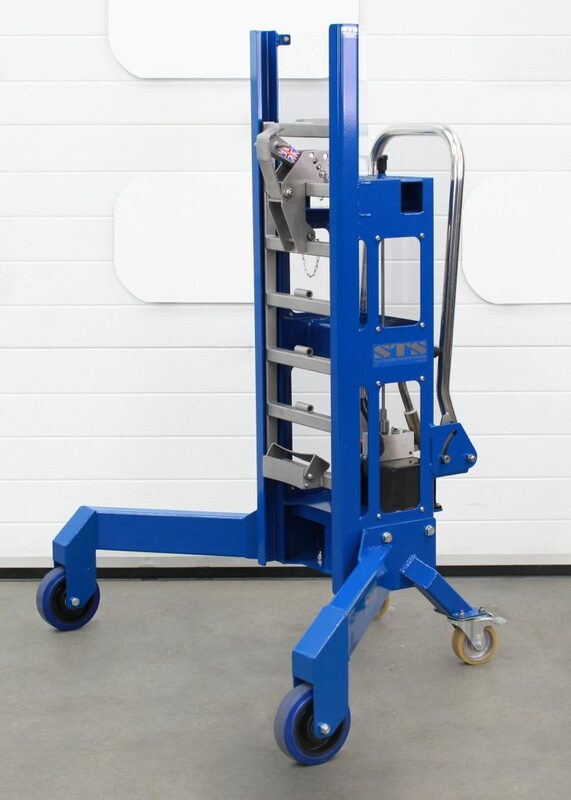 See the full technical specification for our Corner Drum Lifting Trolley for details such as weight, dimensions and load capacity. 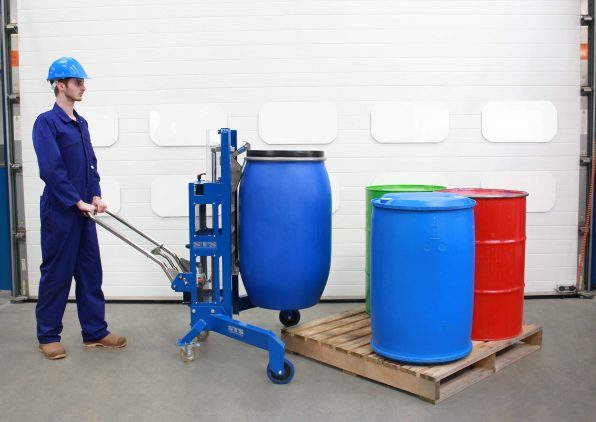 View the instruction manual for our Corner Drum Lifting Trolley, which details how to safely operate and maintain the unit.